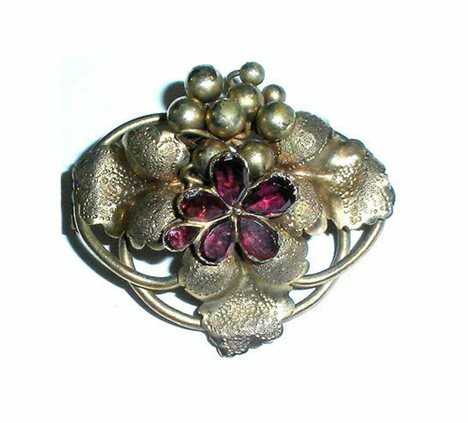 This is an antique 1880s Victorian handmade gold filled aesthetic grapes pin with its original deep dark red stones. It has beautiful, textured gold grape leaves and the stones are deep Port wine red color. Size is 1.5" long by 1.25" wide. The top is 3/8" and deep. 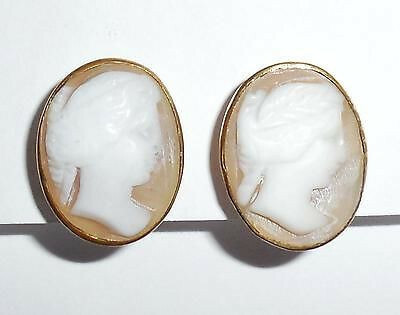 This is a lovely chunky Victorian pin for your collection. This is an antique Victorian mid 1800s gold gilt early synthetic topaz dress, lingerie or blouse pin. From an estate and in original, excellent condition. The stone is bezel set and still clear with brilliant color. Size is 1.5" long East to West by 3/8" tall North to South. 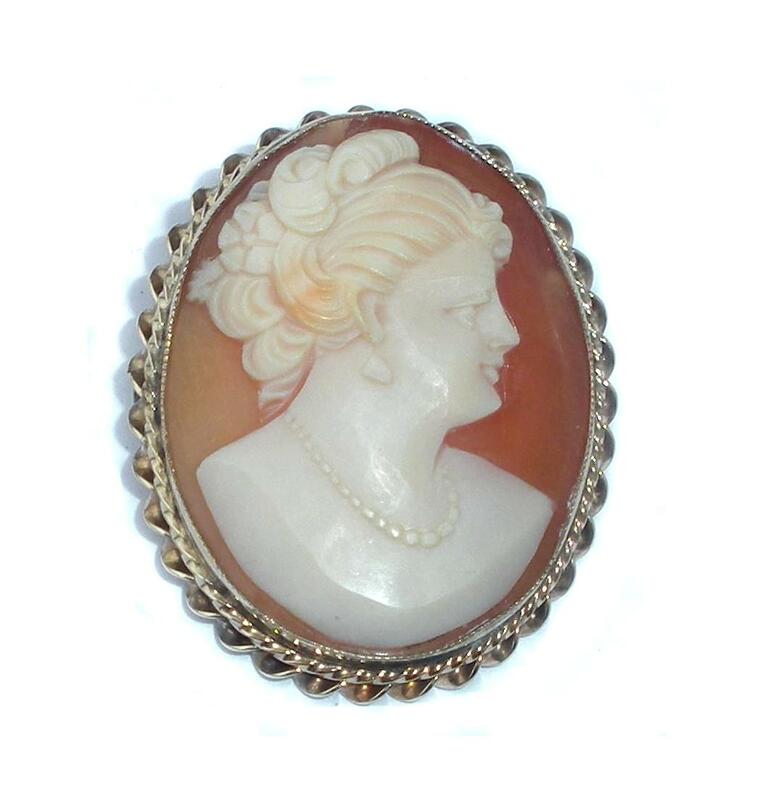 A lovely Victorian piece for your antique jewelry collection. Antique Victorian Gold Gilt Scarf Sash Pin Brooch Faux Pearl Age: Mid to Lat 1800s Victorian Metal: Gold Gilt Material: Faux Pearl bead center Clasp: Original Victorian C Clasp Size: 1" by 5/16" by 3/4" Condition: Very good to excellent. Not polished. 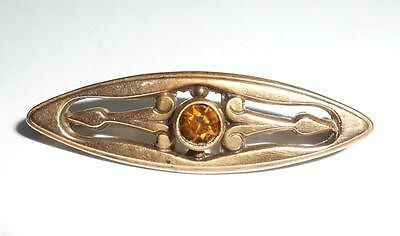 This is a long antique Victorian bar or lingerie pin with a glass bead in the center. The top is silver while the sides and back are gold. 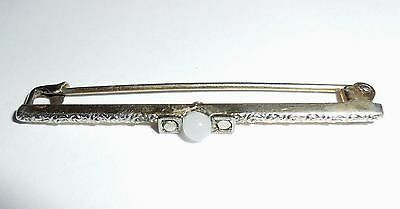 The original antique Victorian C Clasp is intact. 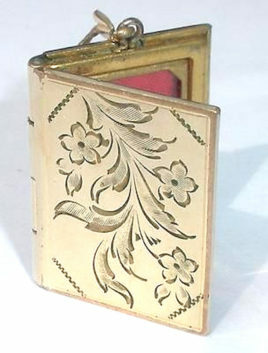 The hinge is hand riveted and the top has tiny intricate fancy repoussed work. Size is 1 3/4" long by 1/16" wide. 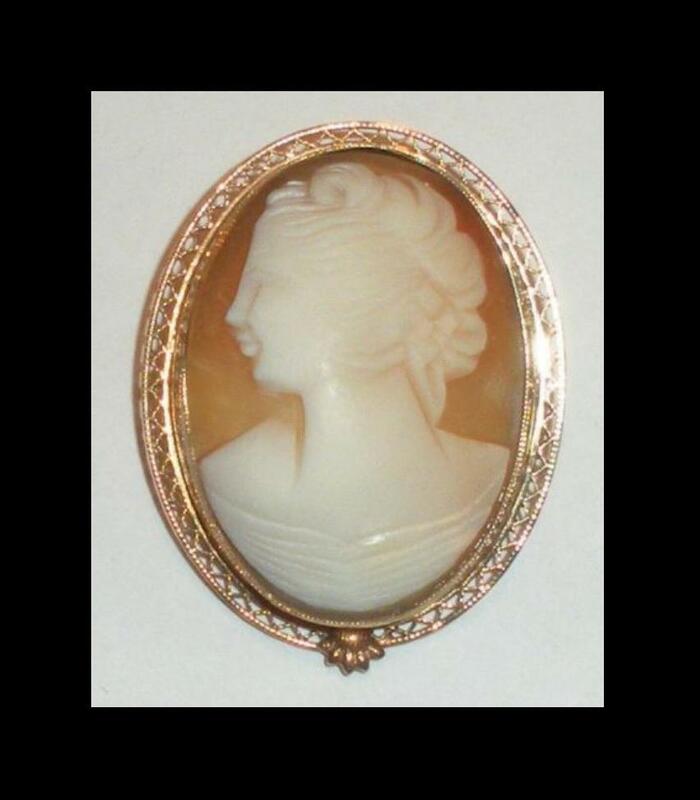 This is a lovely early pin for your antique jewelry collection. This is an antique Victorian braided hair farewell mourning pocket watch fob necklace in excellent condition. It has some wear to the hook clasp and one tiny 3mm worn spot on the hair. The gold gilt/brass cross, anchor, spade English farewell symbols are still crisp and well defined. All of the gold gilt on these mourning symbols is excellent. It also has a beautiful early hand wrought clasp. Size is 17" long by 9/16" wide across the centerpiece. 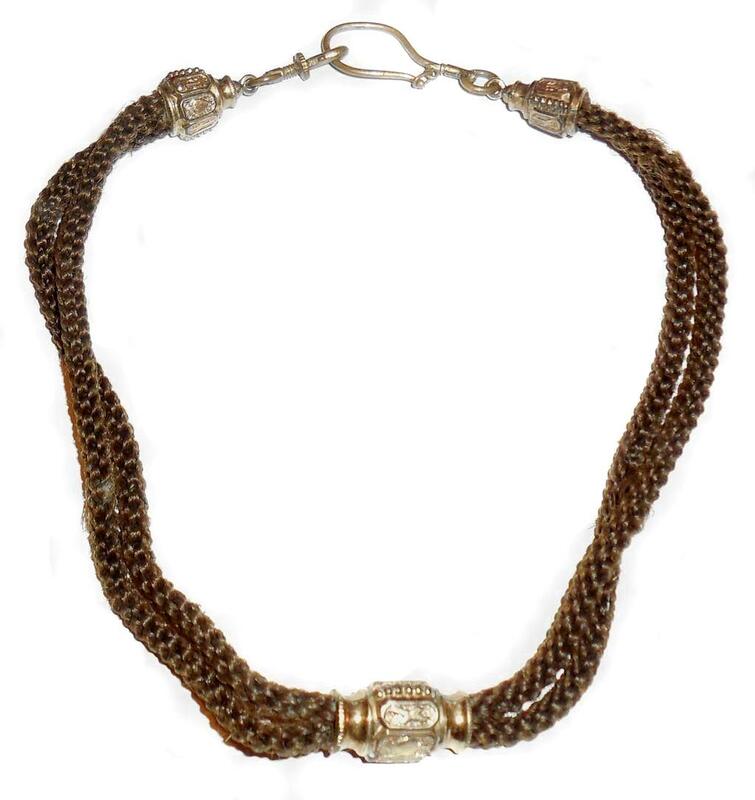 From an estate and in completely original, untouched, excellent condition this is a lovely addition for your antique Victorian jewelry collection. Antique Vintage 1930s Art Deco Blue White Paste Bracelet M Medium Size If you collect jewelry from long ago then this is for you. 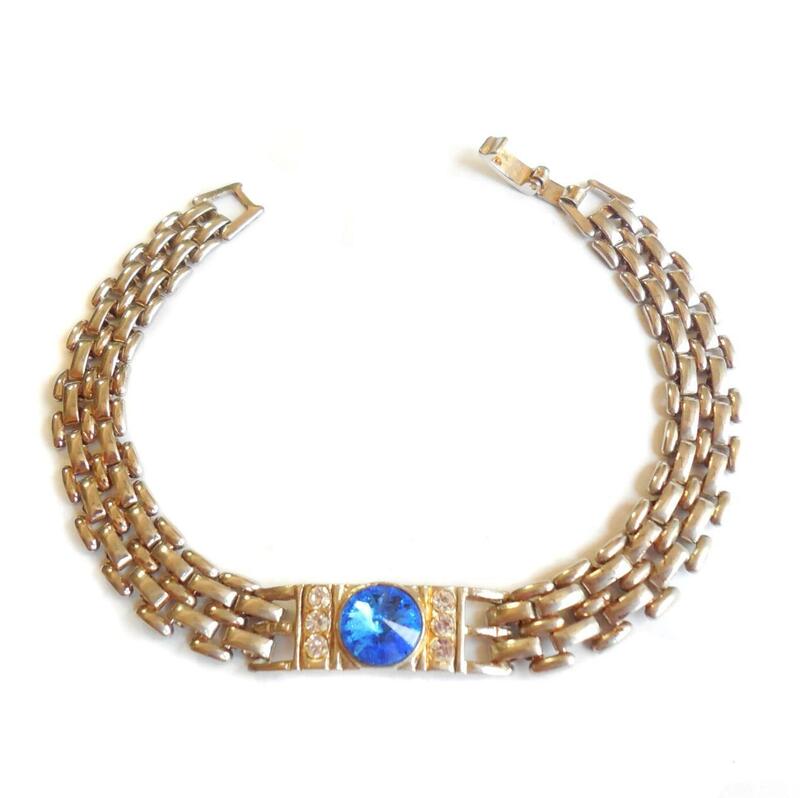 It is a late 1920s to early 1930s silver metal bracelet with a showy handmade pot metal centerpiece containing a large inverted cobalt blue paste stone flanked by white paste stones that are geometrically placed in linear Art Deco form on the sides. The stones are crisp, clear, clean, sparkly and showy. The center stone is inverted and all stones are bezel set. Other than minor age wear it is in excellent condition. The silver metal has that old look and feel with a light patina that you find on antique jewelry which hasn't been touched in many, many years. Size is 7 1/2" long with the clasp closed by 3/8" wide across the centerpiece. 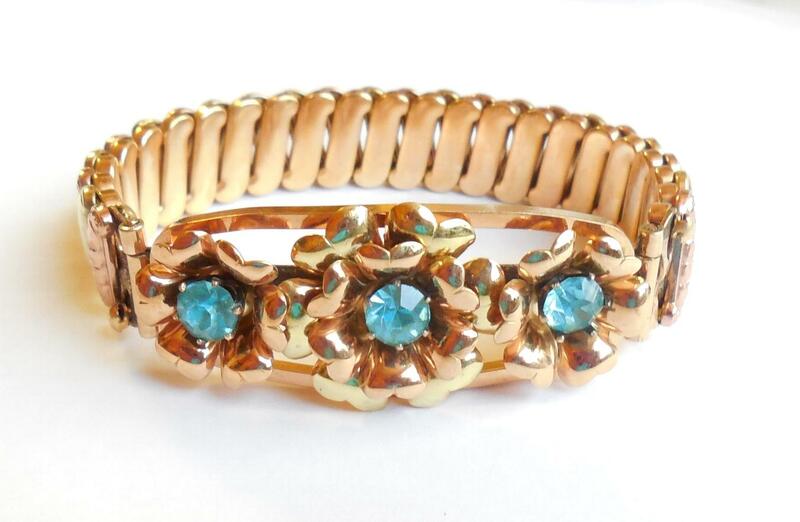 This is a lovely, original, early Art Deco bracelet for your antique and vintage collection. 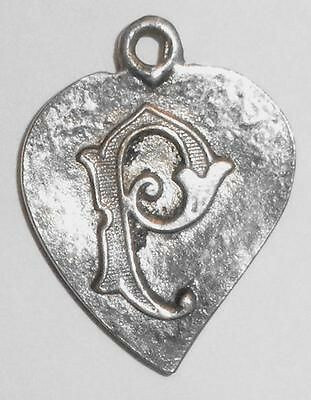 This is an antique Art Deco or earlier French pendant, charm or fob of Notre Dame with a letter P on the back for Paris. The bottom of the building is marked Notre Dame Paris. It was part of a group of 5 from the same estate. All depict famous cathedrals and monuments in France. It has a textured front with a raised and tilted Notre Dame building and a hammered back. Size is 1 1/4" tall by 1" wide. Nice and chunky. Well detailed. No damage. Just add a chain or bracelet and you will have a lovely large statement piece for your antique Art Deco jewelry collection. 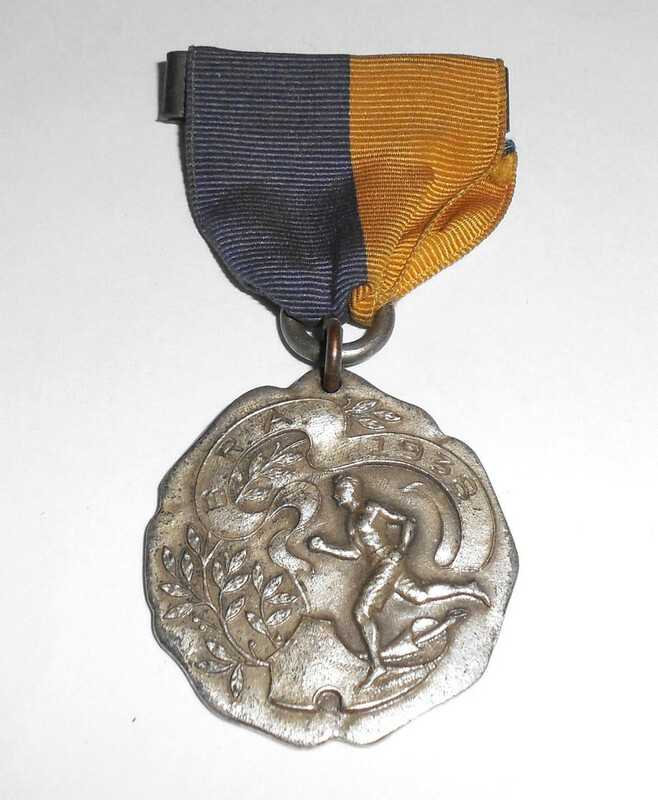 Antique vintage Art deco 1938 BRA mens track and field runner ribbon medal award pin, pendant, fob. It is from and estate, completely original condition, and has age wear that has not been polished out. The front has a raised fancy scene of a man running in a treed setting. The back has worn plating. Size of the medal by itself is 1 1/4" across in diameter. With the ribbon pin the size is 2 3/4" North to South by 1 1/4" across the ribbon. 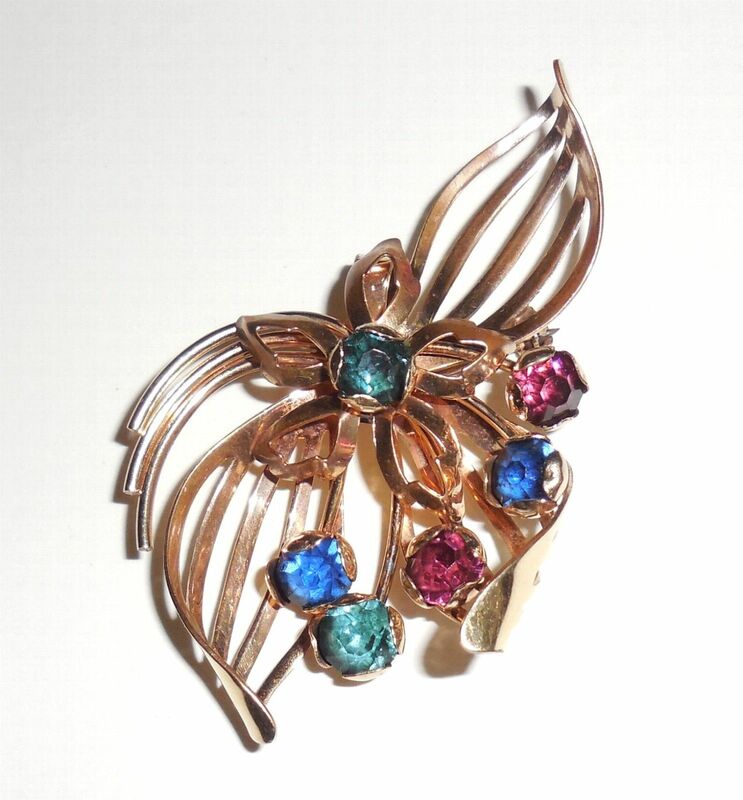 A nice Art Deco estate find for your medal award or antique sports jewelry collection. 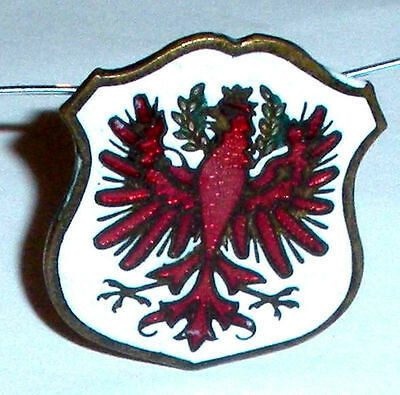 This is an Art Deco or earlier brass enameled phoenix with swords, Greek Order of The Phoenix pin. Size is 1 1/4" tall by 1" wide across the body. The front has beautiful enamel work which is completely intact and not worn down. A lovely Order of the Phoenix for your antique Mens Jewelry collection. 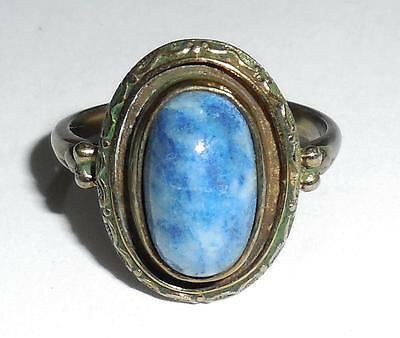 This is an antique early Art Deco 13mm long blue sodalite Czech glass ring in brass with fancy hand cut work and a light silver wash. The top measures 11/16" long North to South by 1/2" wide across the center. It is nicely made with fancy hand engraved work framing the stone. Ring size is 7 3/4. It had a prior resize many years ago which is secure. The shank is still nice and thick. Good stone. Fancy engraved work is still crisp. This is a lovely antique Czech glass statement ring for your collection. This is a vintage 1930s Art Deco gold filled double photo locket with fancy engraved flowers on the front. Size is 7/8" tall without the bale by 3/4" wide across. The bale is cut and should be removed and easily replaced with a twist link. Locket Condition is excellent. All gold intact. Good strong lock. No wear to the gold filled. No dents or dings. Both of the original photo bezels are in place. Plastic covers. 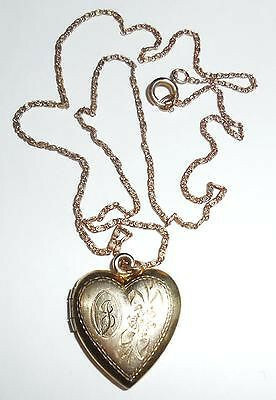 A lovely antique locket for your special photos. This is a beautiful, fancy 1930s Art Deco 10K gold filled Miraculous Mary pendant necklace with faceted marcasites and a irridescent art glass insertion. It is marked 10K GF with a maker hallmark. The art glass base is much like Loetz or Tiffany art glass of the time. It is dark pink, rose and mauve color. The pendant is very well made with the Mary figure being hand riveted to the art glass and the back the way it is supposed to be. The pendant is on an old Art Deco curb chain that is a little darker gold color with a fancy filigree clasp. It came from the estate of original owner's family and is in excellent gently used condition. All gold filled in intact. No dents or dings or repair. The art glass oval is also excellent. No cracks or chips. Necklace size is 19 3/8″. The chain is 18″. The pendant is 1 3/8″ North to South by 3/4″ wide East to West. 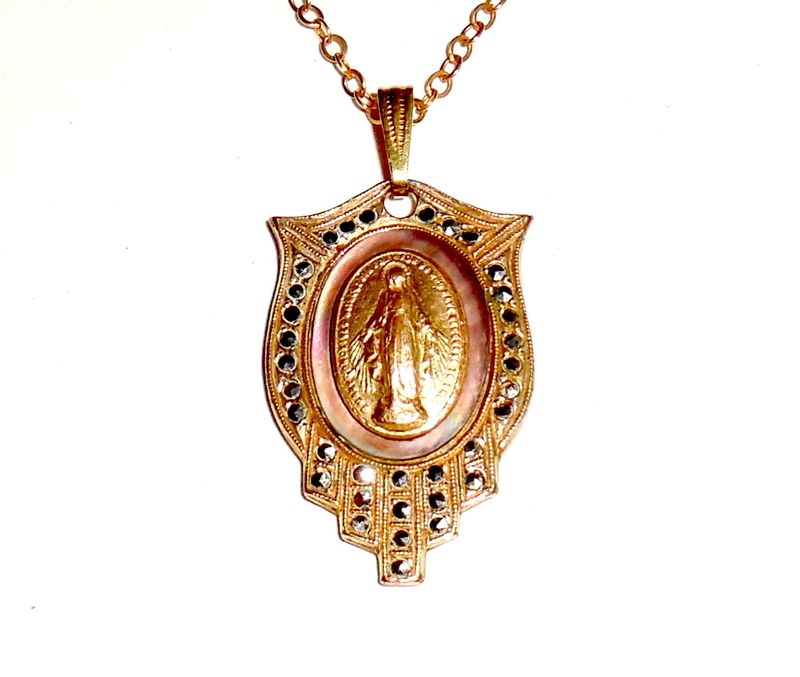 This is a very pretty and unusual early Miracles Mary necklace for your antique and vintage religious jewelry collection. Art Deco 12k Gold Sterling Silver Carmen Expansion Bracelet Sweetheart A very beautiful crisp clean example of World War 2 Sweetheart Carmen jewelry in sterling silver and 12K gold yellow and rose gold filled with Austrian Crystal jeweled top. Signed Sterling, LUSTERN, LS Co 1/20th 12K GF. Lustern was the name logo for Art Deco jewelry made by Louis Stern. Last known record of his products was in 1950. This piece is in excellent very gently used condition. It is expandable so it will fit small, medium and large wrist size. Size measurements of the top are 3/4" wide by 1 3/4" long east to west. It is very substantial and jeweled with its original teal colored Austrian crystal stones. The fancy repoussed expansion band has alternating rose/pink gold and yellow gold elements. Condition is excellent, very gently used. All gold intact. No gold wear at all. Still nice and crisp. Some wear to the silver rod on the back which is not eye visible at all when the bracelet is on the wrist. NO dents or dings. No damage or repair. No alteration. Completely original. It is also very comfortable and the expansion is still strong and works well. Not stretched out. 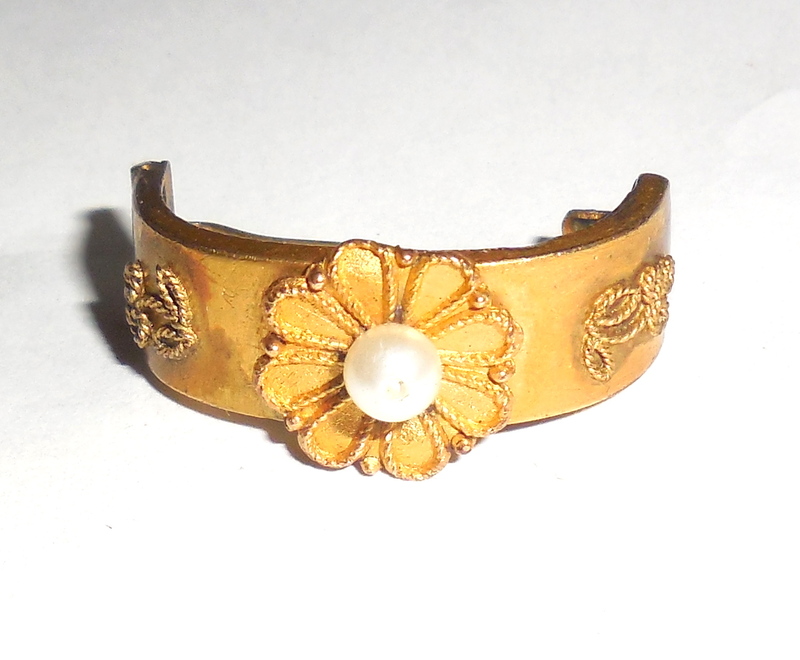 This is a gorgeous bracelet for your Art Deco and Retro Sweetheart jewelry collection. Easy to wear and looks great. Weight is 25.8 grams. This is a vintage late Art Deco 1/20th 12K Gold Filled etched heart locket necklace with a fancy letter J or B script monogram in the cartouche. The inside is marked 1/20th 12K Gold Filled. The chain is unmarked light rose gold filled, 1930s, very fancy and came with the necklace. Looks good together. Size is 17". The chain is 16" and the pendant is 1" North to South with the bale. It is still quite clean but has some light age patina that could be polished out but not necessary. The locking clasp works well. You can hear the loud snap when you close it. This is a lovely vintage heart necklace for your favorite photos.